Leah Navarro is a real idiot. Period. She has once again proven it on her latest tweet discussing rebellion and revolution. And as expected, netizens came pouring trying to school her on her ignorance. One of which is the prominent social media personality Mark Lopez who burned Navarro down to ashes - once more! Rebellion is taking up arms against the state. Revolution is taking out idiots like you and your shameless ilk in the previous admin to preserve the state. Mark Lopez wrote on his Facebook account embedding a screenshot of Navarro's moronic tweet. 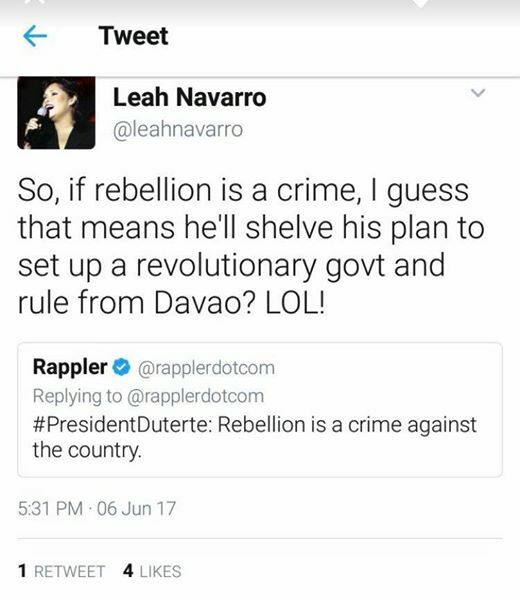 Leah Navarro is a an idiot. As in bugo, bulok, dumb!